Kimi Raikkonen signed Ferrari Photo 2007. 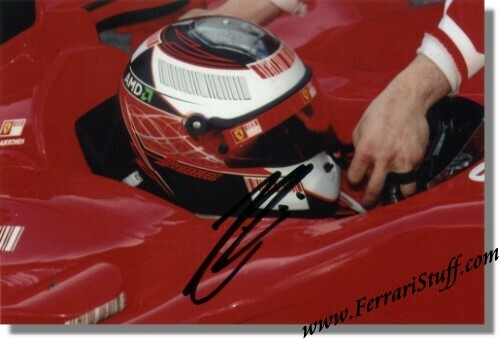 A great shot of Kimi, signed in person by the 2007 World Champ! This is a very rare opportunity to own a great item autographed by the 2007 Formula 1 World Champion and items like this will surely appreciate in value.